The expert staff at ProSource® of Chicago West Loop can assist trade pros in finding the best wholesale flooring product for their clients’ projects. If you and your customer are looking for carpet, hardwood, laminate, tile, or vinyl flooring to transform a room or space, we can help. If you’re looking for a specific flooring solution, consider asking what some common issues were with the prior flooring being replaced. Our showroom offers waterproof, scratch proof, heavy-traffic support, spill-proof and more with our flooring products. 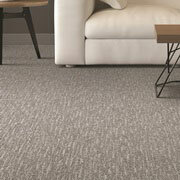 We offer comfortable and high-performance carpet flooring solutions to all our trade pros and their clients. When it comes to selection, we have wide variety of styles, designs, colors, and textures such as Innovia, DuraWeave, Masland, Fabrica, Mohawk, Dixie, and many more. Our showroom offers a variety of high-quality hardwood flooring brands to suit the needs of your customers’ projects, including: Armstrong, Kahrs, Avienda, Teragren, and many more. 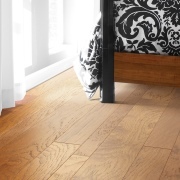 Not only do we offer the best brands, but we also offer alternative flooring solutions such as eco-friendly renewed wood flooring. 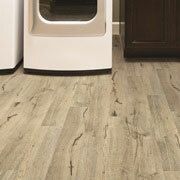 If you want to use flooring other than wood, carpet, or tile, laminate flooring is a budget friendly choice. 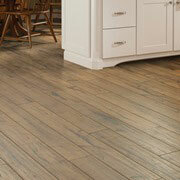 The product can replicate wood, tile, or vinyl at a fraction of the cost. When you visit our Chicago showroom, you will find laminate products from manufacturers such as Armstrong, Mohawk, Shaw, Mannington, and many more. Tile is a versatile material and can be used for more than flooring. Nonetheless, we offer many different tile flooring styles and designs to meet and fulfill all of the homeowner’s project needs. Whether you’re looking for porcelain, ceramic, or stone tile solutions, the beauty and elegance of each piece is like artwork. You can transform any room with tile. 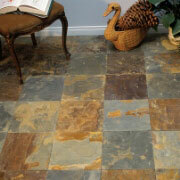 If you’re searching for the best tile, one of our showroom staff can help. Whether you’re working on a residential or commercial project for a customer, you’ll find vinyl flooring to be a stunning, cost effective solution. Our showroom offers sheet vinyl, engineered stone, engineered vinyl plank, luxury vinyl plank (LVP), luxury vinyl tile (LVT), and much more to our trade pros and their customers.